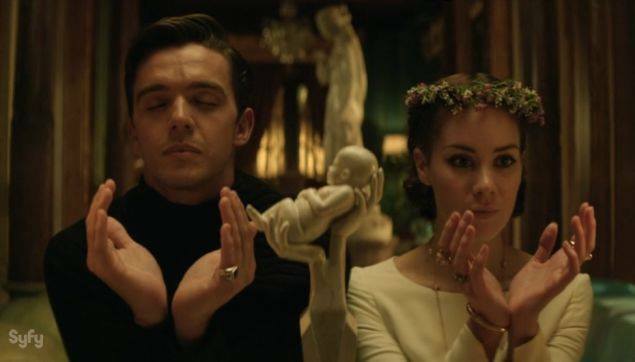 Watch SyFy’s new episode of Dominion tonight! Please also join the twitter storm one hour before episode 7 airs at 8/7 c with the hashtag #RenewDominion and #Dominion. Tweet an hour before the episode, live-tweet during the episode and keep tweeting after the episode airs. 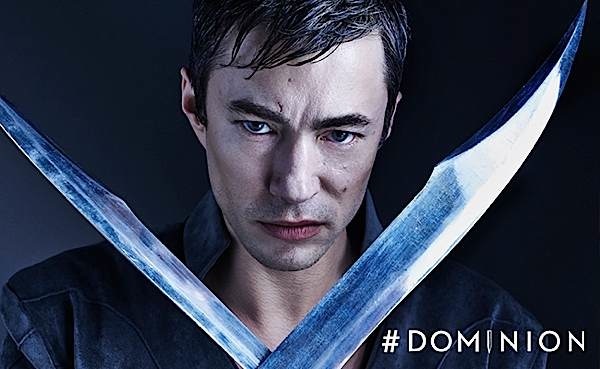 Nielsen will be tracking Dominion’s impact on social media in order to gauge the shows popularity. Please help the show trend and boost up the ratings! Huge thanks! Alex is called upon by Michael to help prevent any further casualties after innocent higher angels turn up dead in Vega; at the same time, Gabriel causes tension by revealing a long-hidden secret; William “re-educates” his father; and Noma reignites an old flame. Here is a link showing the count down to the time : Have fun and happy tweeting! Can’t wait to see the photos. Alex begins training with Michael, but a vision causes him to go rogue. Claire takes risks to protect Riesen. David makes moves to secure his power.The preview aired after tonight’s episode. The video promo is below. -WEST COAST at 9:00PM PST on Syfy: @MrChrisEgan @CarlBeukes @katdecandole @tommyleeba @LukeAllenGale. The twitter handles of cast and crew for Dominion may be found on this page on the site: Enjoy the episode and have fun chatting with the cast tonight! 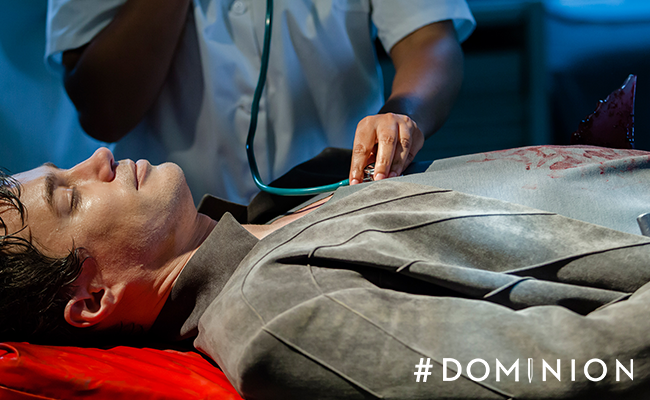 SyFy will air a new episode of Dominion this Thursday 07/10/14. The episode is titled “The Flood”. The episode description states: News spreads in Vega about Alex’s status as the Chosen One, causing a panic. Meanwhile, Gabriel launches a new initiative in his quest to destroy Vega. 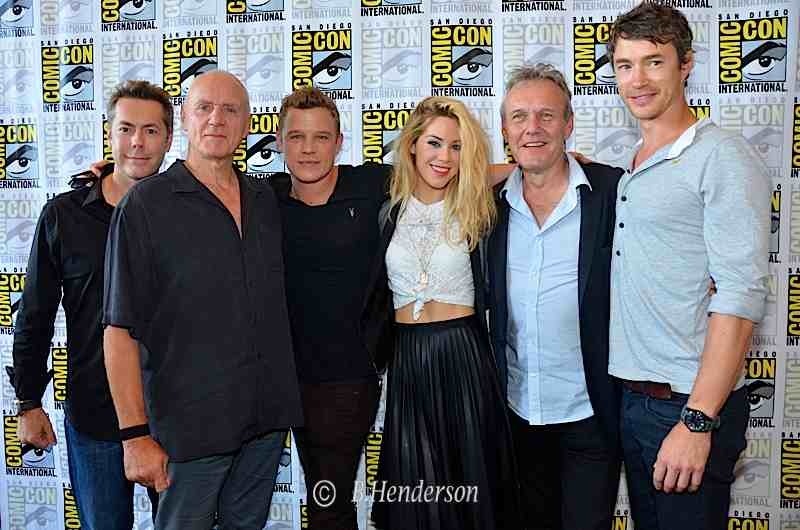 Don’t forget to use the hashtag #dominion when tweeting during the show! Help spread the news on the show. Tvtag also has a check in option for Dominion. Tweet, check in and spread the news on the show!